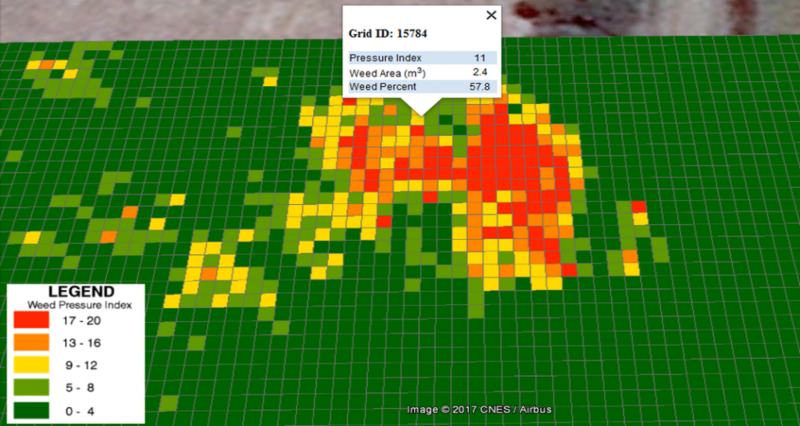 The Weed Pressure algorithm analyzes high resolution drone data to generate a weed pressure map, giving farmers a weed pressure index (ranging from 0 - 20) along with the percentage of weeds dispersed across the entire survey area. 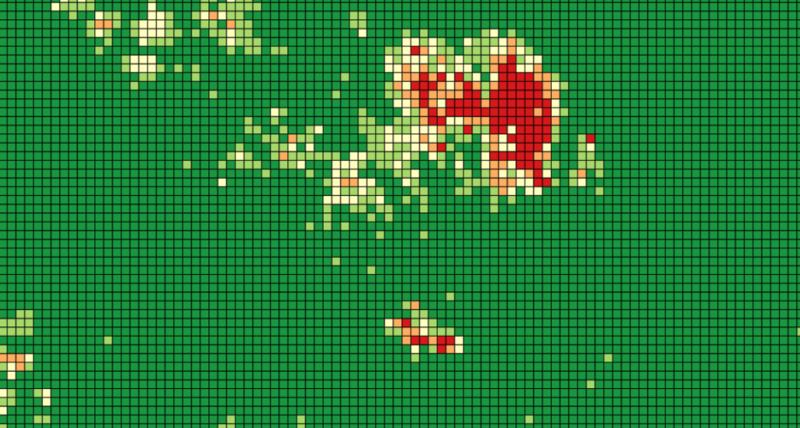 The algorithm ingests multispectral data (BGNIR) with a resolution of at least 5 cm/pixel. Farmers who own PrecisionHawk’s Smarter Farming package, for example, will have all the hardware and software requirements necessary to successfully run the Weed Pressure analysis tool. Weed presence reduces overall agricultural output, thereby reducing total productivity and ROI. Weeds compete with healthy crops for essential resources such as space, water, nutrients, light and carbon dioxide. Farmers spend thousands on weed management annually using chemicals and herbicides that also compromise the quality of healthy crops. By using the weed pressure analysis tool, growers will be able to determine exactly where weeds are more prevalent, thereby allowing them to employ more targeted and strategic management techniques. Pre-emergence. The Weed Pressure app works great early in the agricultural season as it helps the farmer ensure that his field is devoid of unwanted vegetation before planting. Post-emergence. A weed pressure survey can be carried out multiple times throughout the course of the growing season to make sure crops are growing at a healthy and uniform rate. By ensuring that weeds are identified and managed accordingly, farmers have a higher likelihood of meeting their targets during harvest.